"Now Begin the Mistakes and the Literary Fallacies That Spoil a Crime Story"
"Frenzied Fiction — First Lecture: Murder at $2.50 a Crime." First appearance: Here Are My Lectures! 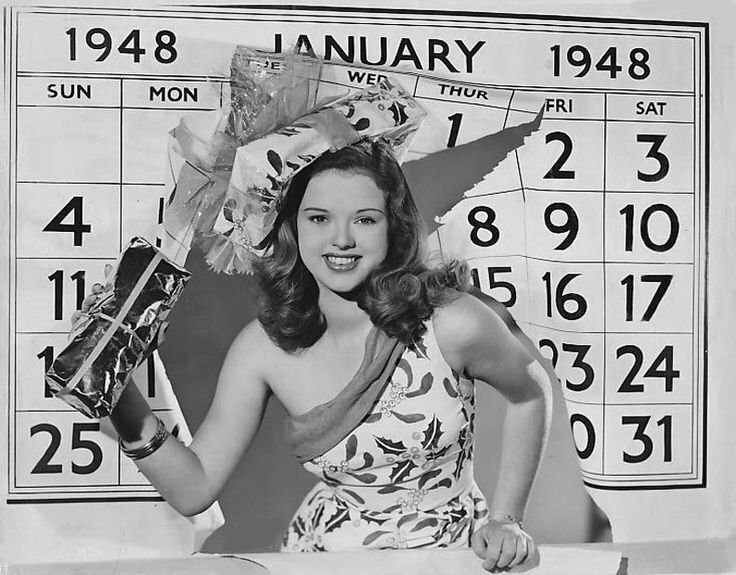 (1938; HERE). 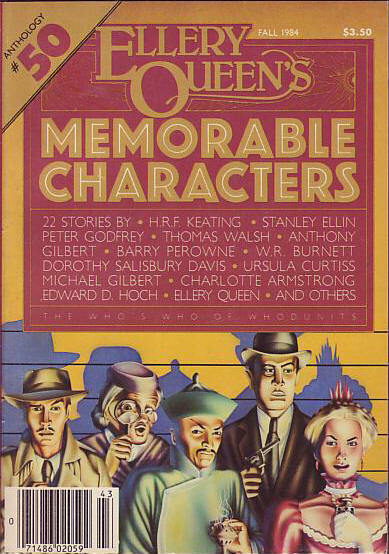 Reprinted in The Book Digest of Best Sellers, May 1938. Article (21 pages in original text). Online at Fadedpage (HERE; select file type; then go to page 133). "I propose to-night, ladies and gentlemen, to deal with murder." The same sort of defective higher criticism that plagued scriptural studies seems to have eluded our author; indeed, every word that droppeth from his pen seemeth true to fact—or, rather, true to fiction (crime fiction, that is). We wouldn't dream of stealing any of Leacock's thunder; just follow the link and be prepared to smile—who knows, at times you might even feel like laughing out loud . . .
on openly and daily at two dollars and fifty cents a crime." - Wikipedia has a substantial article about Leacock (HERE); follow other links from there. Editor's note: This marks our 1100th posting. Thanks to you all for spending some time with us. 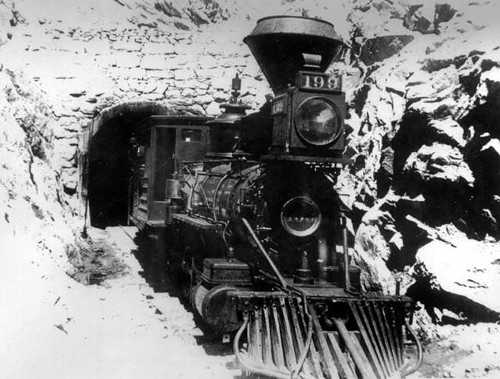 February 17th: "The Stolen Ten Thousand" (1910) - (HERE). February 27th: "The Disappearing Diamonds" (1910) - (HERE). 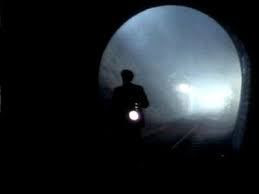 March 22nd: "Mystery Trains: Crime Writers and the Railway" (2000) - (HERE). April 11th: "The Body in Roomette 9" (1956) - (HERE). May 6th: "The Plymouth Express Affair" (1923) - (HERE). 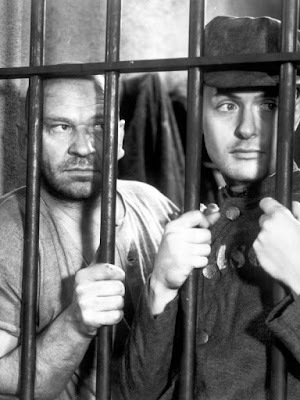 May 30th: "The Elusive Bullet" (1932) - (HERE). June 22nd: "The Thieves' Terror" (1907) - (HERE). July 30th: "The Commercial Traveller" (1907) - (HERE). 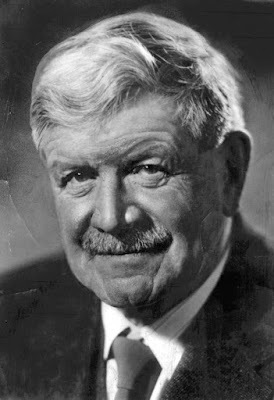 August 21st: Three Carlock Bjones stories (plus one other) (1910-11) - (HERE). 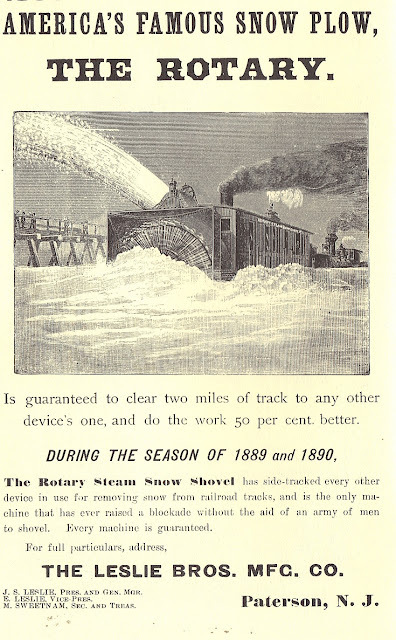 November 3rd: "At Close Quarters with Death: A Story of the Rail" (1899) - (HERE). 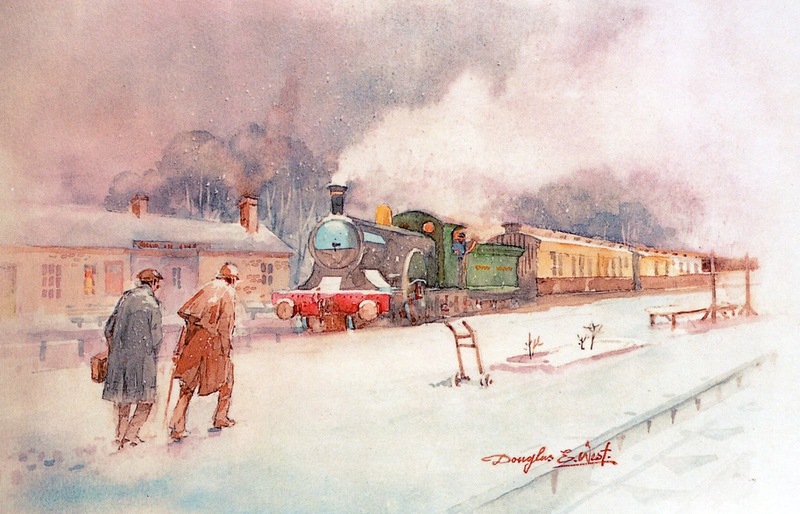 December 24th: "New Year's at Rock Siding" (1948) - (HERE). SEQUEL TO MURDER: THE CASES OF ARTHUR CROOK AND OTHER MYSTERIES. By Anthony Gilbert (Lucy Beatrice Malleson, 1899-1973). 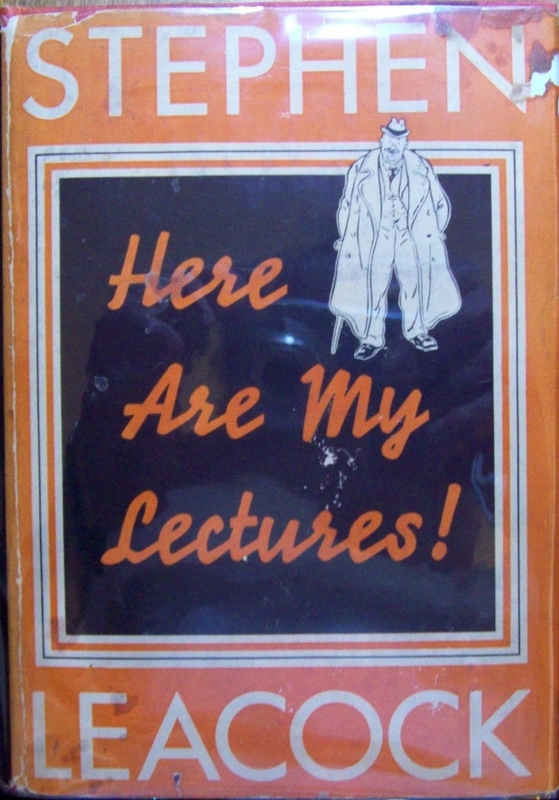 Edited and Introduction (6 pages) by John Cooper. Crippen & Landru, September 2017. Collection: 18 stories, 249 pages (TPB). Online review at Mystery*File (HERE). (2) The GAD Wiki (HERE). 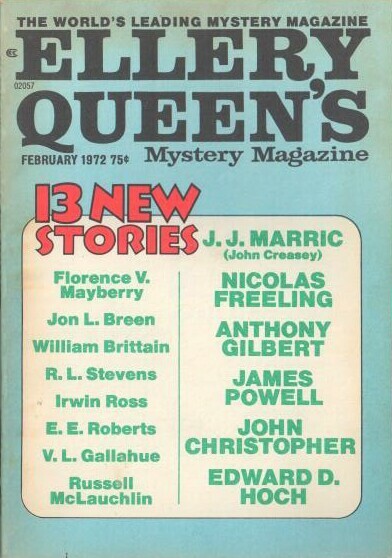 (4) A Guide to Classic Mystery and Detection (HERE). (5) Pretty Sinister Books (HERE). (6) Beneath the Stains of Time (HERE). (8) The Passing Tramp (HERE). (9) The Grandest Game in the World (HERE). (10) In Reference to Murder (HERE). (11) crossexaminingcrime (HERE), (HERE), and (HERE). (12) Vintage Pop Fictions (HERE). (13) My Reader's Block (HERE), (HERE), (HERE), and (HERE). 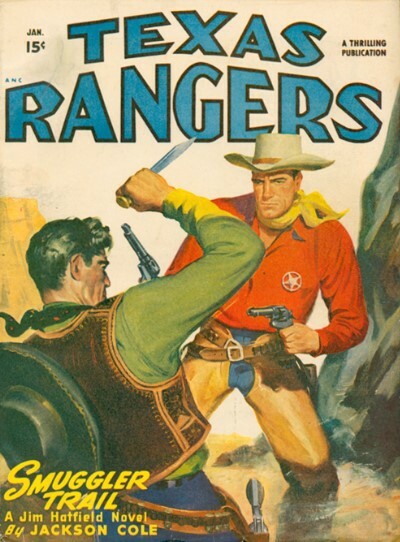 First appearance: Texas Rangers, January 1949.
and Texas Rangers (U.K.), July 1949. "The celebration included the firing of sixguns, which somehow got pointed in the wrong direction." Keeping just one man alive during the New Year's celebration in a small Border town is hard enough, but for Ranger Pat Malloy that's nothing compared to trying to prevent an all-out war between two groups of men who make no secret of hating each other . . .
Summary comments: Johnston McCulley seemed to favor putting his protagonists into seemingly hopeless situations, but giving them the ability to think their way out of their dire dilemmas. 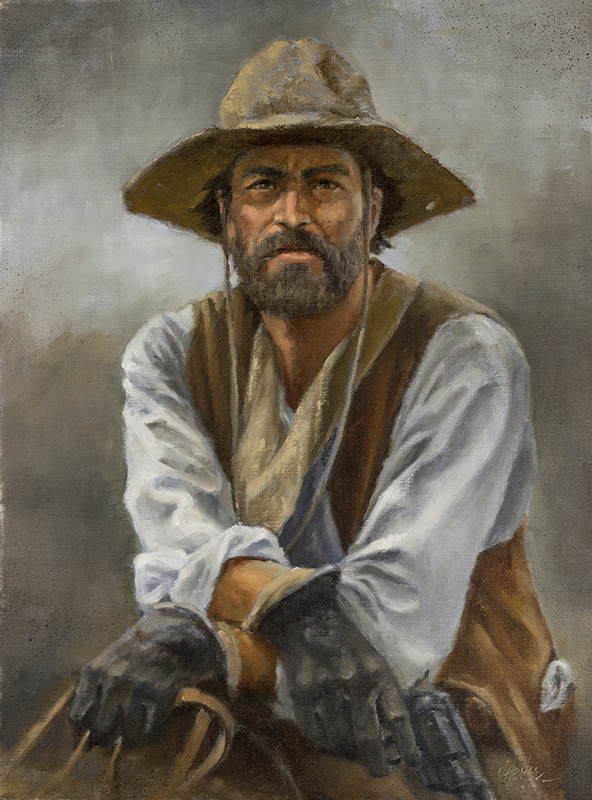 He also reused the plot element of a professional (policeman, ranger, wagon train scout, etc.) on the verge of resigning in order to get married. And, if you've been with us for most of the past twenty-four postings, you might have noticed that he was fond of setting many of his stories on or near Christmas and New Year's. 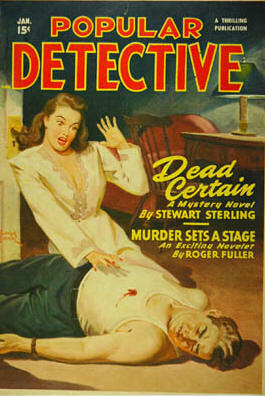 Typo: "gestured far them to do so"
First appearance: Popular Detective, January 1949. 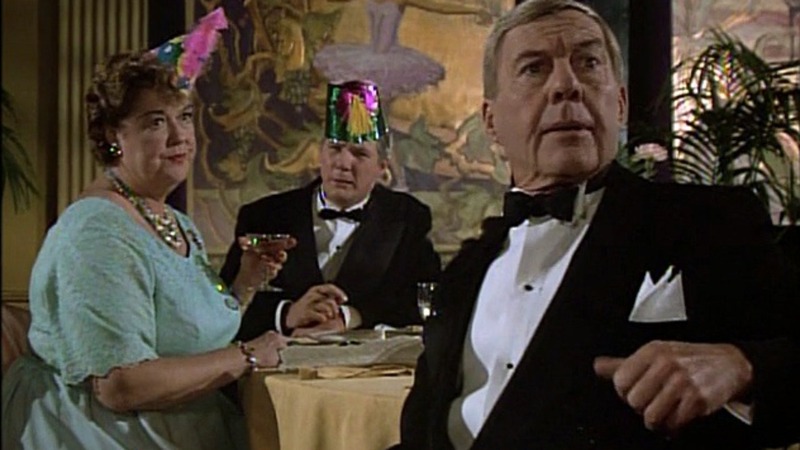 "For some reason, somebody wants me to be at the Club Brilliant tonight — sitting at a certain table." his armpit, actually . . .
- We have Robbie Burns to thank for the words, if not the music, to that perennial favorite, "Auld Lang Syne"; see Wikipedia (HERE). - Another story set in the late '40s about a plan to murder someone on New Year's Eve was lensed for The Adventures of Ellery Queen TV series, "The Adventure of Auld Lang Syne" (1975), presently available on Dailymotion (HERE; run time: 49 minutes 46 seconds). 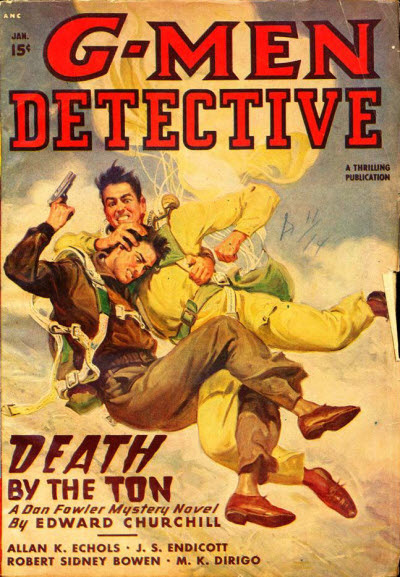 "He Could Remove Matty from the World in a Violent Manner, and Then Take His Final Dose of Medicine for the Act"
First appearance: Popular Detective, March 1948. 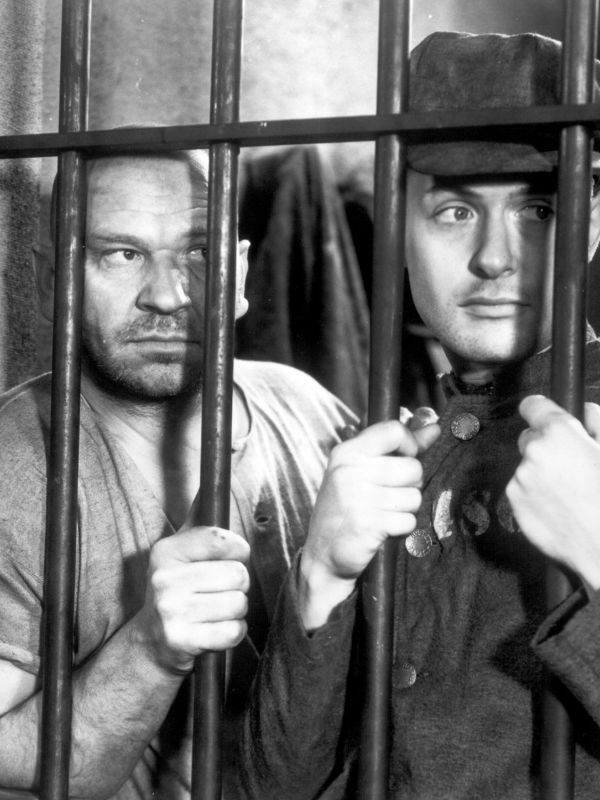 "When Joe Leake wins a pardon from the Big House, he plans to get a new tenant for his cell—but quick!" Matty Bander, a cheap hood if ever there was one, is living it up in style for now, but the man he railroaded into prison has other plans for him . 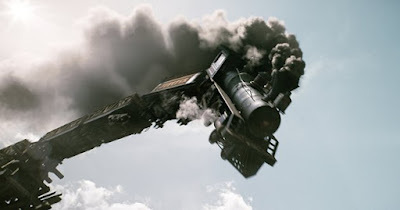 . .
"He Hated the Railroad, and He Knew Railroad Work, and How to Attack and Where Least Expected"
"New Year's at Rock Siding." 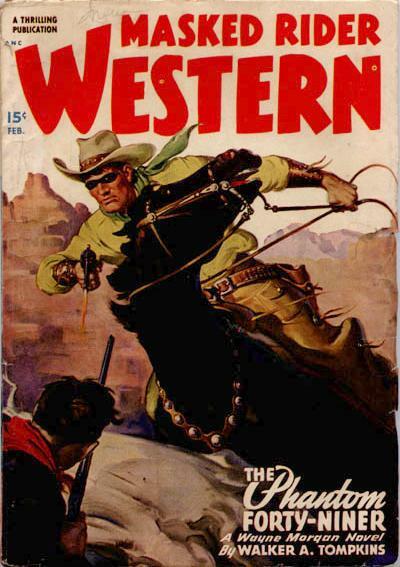 First appearance: Masked Rider Western, February 1948. Reprinted in Masked Rider Western (Canada), February 1948. 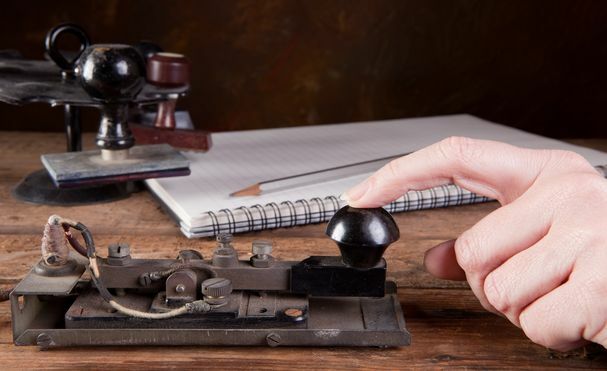 "Danger and trouble come to a lone mountain telegraph post on the buzzard-like wings of a raging blizzard!" Jud Marlin's grudge against the railroad seems certain to continue into the New Year; what's not so certain is whether he'll let Eph Cartwright, little Rock Siding's station agent, do the same . 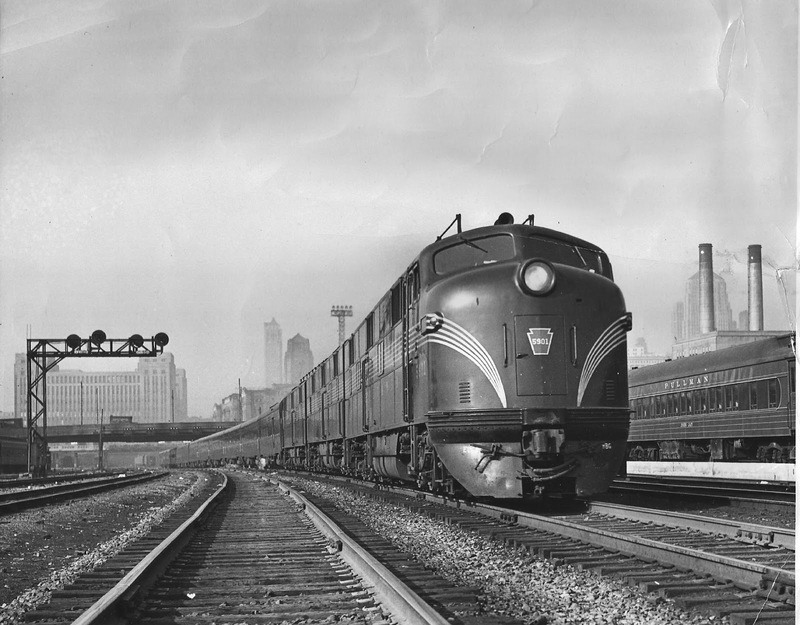 . .
"Slowly, it approached the station, a rotary giant that could bite through the deepest drifts and make the passage of trains possible." - Rails West has an informative page, "Telegraph Enables More Flexible Train Order Operation," on their site (HERE) that shows McCulley did his research (see especially "Timetable and Train Order Operation"). 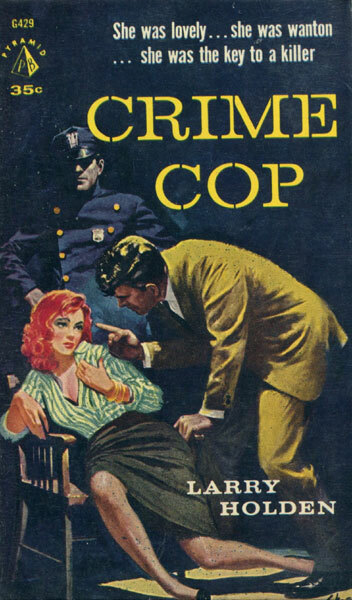 "Before This Year Dies, You Will Be Dead—the Judge, the Jury Foreman, the Cop Who Sent Eddie to the Chair"
First appearance: Black Book Detective, February 1948. "For Detective Lieutenant Larry Ogden it was D-Day and H-Hour - with D for Danger and H for Homicide!" Larry plans to retire from the force and get married soon, but on this wild and woolly New Year's Eve Monk Stenner plans to make sure those things never happen . . .
Typo: "the same I time"
Father Time (note the deadly weapon). 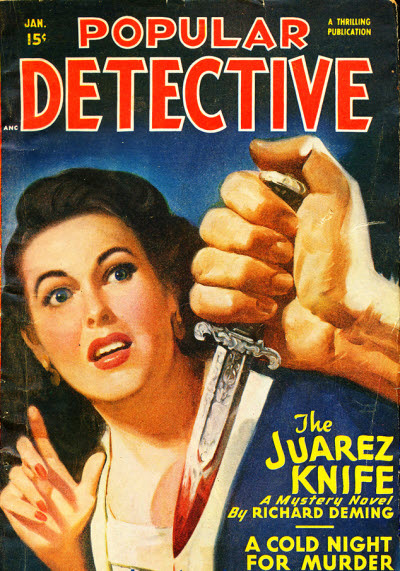 "He Slashed and Smashed with the Gun, Pistol-Whipping Men Already Unconscious"
First appearance: Detective Mystery Novel, Winter 1948. "Deputy Sheriff Retland is ready to retire—but not before walking into the gunfire of two killers in the line of duty!" What starts out as a routine New Year's Eve for Lew Retland turns into anything but ordinary when a jealous gangster decides to eliminate the competitor for his girl's affections, and the girl, and anybody else who might get in the way—which just happens to be Lew . 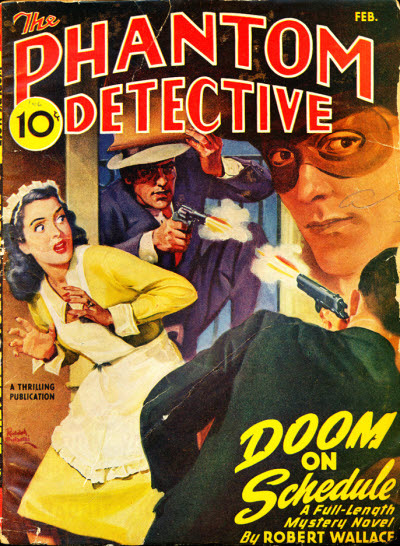 . .
First appearance: The Phantom Detective, February 1946. 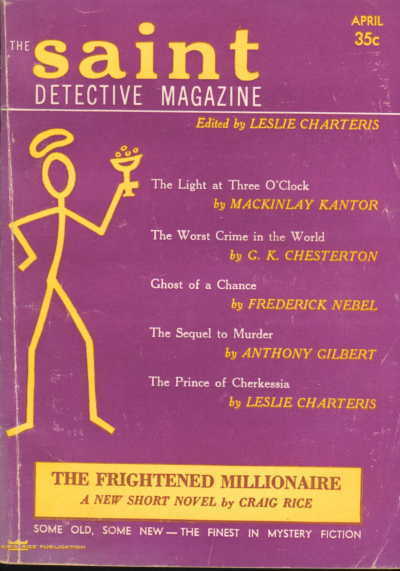 Reprinted in The Phantom Detective (Canada), February 1946. "Patrolman Larry Murphy wants to be a plainclothesman—and makes a good start when he tackles a tough gang!" Noise always goes with New Year's celebrations, but tonight an ambitious cop will ring in the new year with the sound of gunfire . 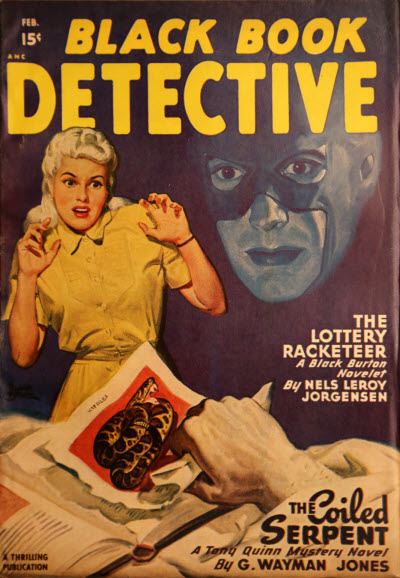 . .
First appearance: G-Men Detective, February 1946. 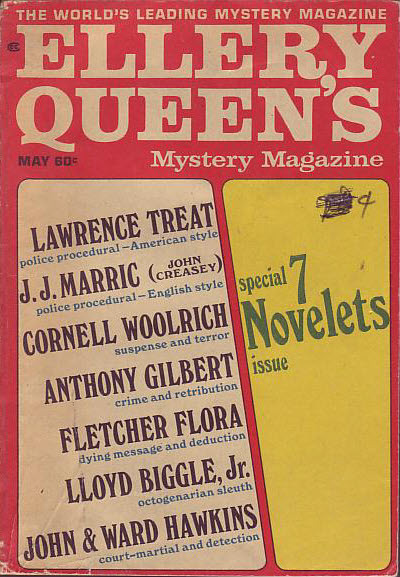 Reprinted in G-Men Detective (U.K.), Summer 1946. "A flickering candle means death to Police Sergeant Jim Jilley when a stir-crazy killer seeks grim vengeance!" 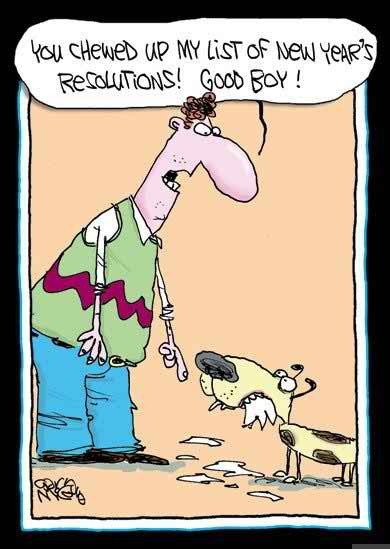 Two quick shots would solve Lew's problem, but no-o-o-o, he has to complicate things. They never learn . . .
"He’s nothing in my hair." "It’s worse’n Sunday. Everybody must be sleeping it off. Wild time last night." "I—I didn’t mean to do it!" "You’ll notice that the candle is a few inches lower than your heads." Typos: "Ketch"; "The car a thief." 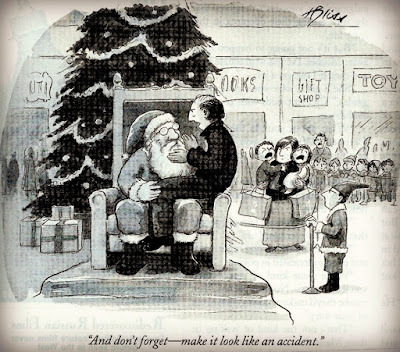 "A Slay Ride for Santa." 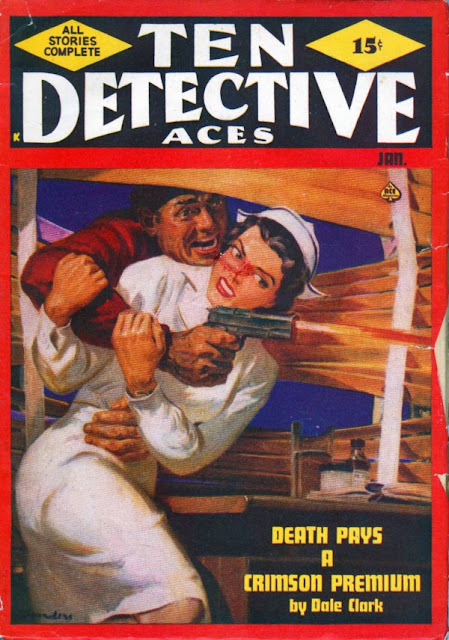 First appearance: Ten Detective Aces, January 1949. "I’m Sanny Claus," he said. "Gimme a gun." in the line of duty, of course . . .
- FictionMags credits Carl Memling with thirteen stories over a brief period, 1948-50; it seems unlikely that this Carl Memling was the children's books author (1918-69), but you never can tell. 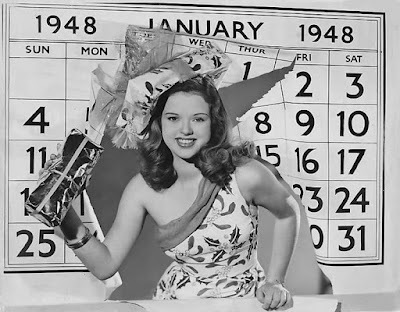 And that wraps up our one-time-only, never-to-be-repeated criminous Christmas binge (16 posts); now let's move on to New Year's . . .
"You’re Trespassin’ on Railroad Property, Buildin’ a Fire on It, Messin’ Around Eatin’ and Drinkin’ and Stickin’ Up Christmas Trees!" 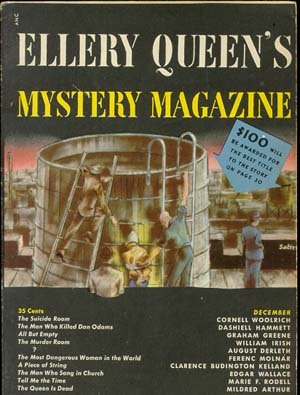 First appearance: Thrilling Detective, December 1948. 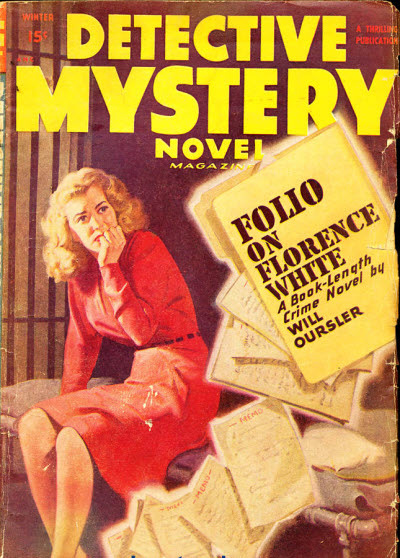 Reprinted in Thrilling Detective (U.K.), June 1949. "Railroad detective Lanman is all ready to break up the Christmas festivities of the tramps, until—"
- FictionMags shows that McCulley had a railroad detective named Richard Hughes as a series character in six stories for The Railroad Man's Magazine, May to October 1908. 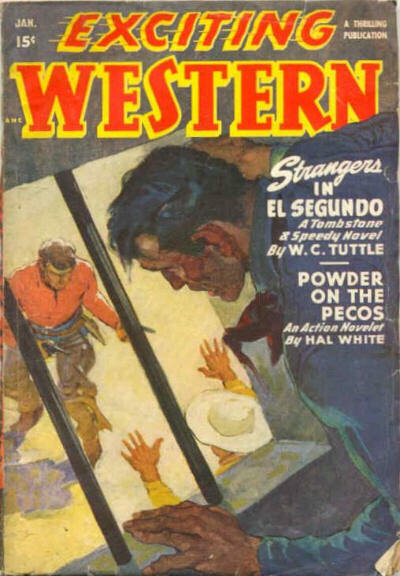 "Death Might Be Waiting Ahead for Him, or Be Riding Beside or Behind Him"
First appearance: Exciting Western, January 1948. 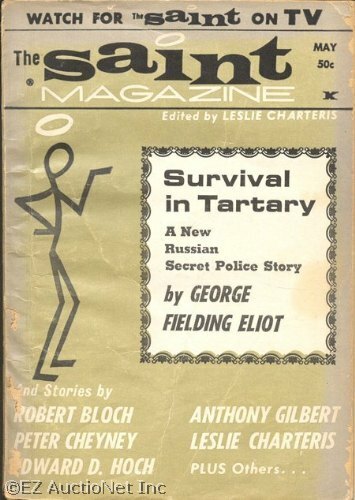 Reprinted in Exciting Western (U.K.), November 1954. "Riding the sunset trails to Stony Ridge, Joe Withers risks the peril of a hangnoose to accomplish a mission dear to his heart!" about to acquire a new family . 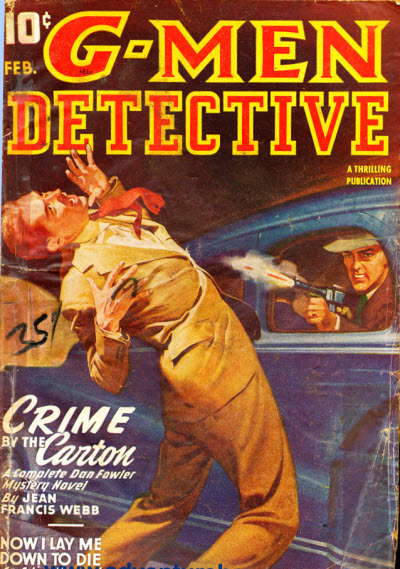 . .
First appearance: G-Men Detective, January 1948. 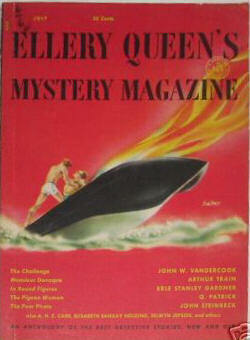 Reprinted in G-Men Detective (Canada), January 1948. 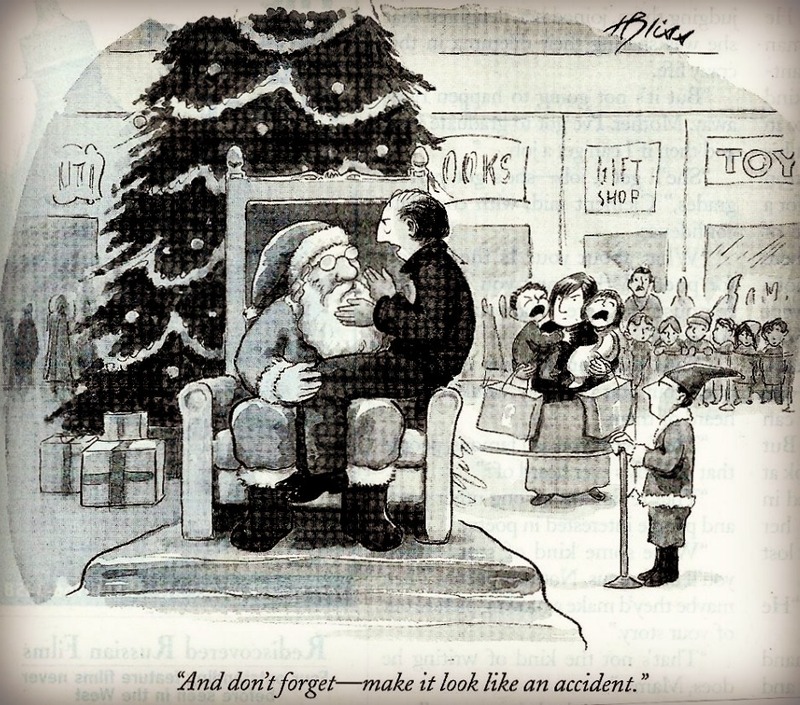 "When reformed pickpocket Jones becomes a Yuletide guest of Ricardo and Carlotta, he is thrust into a dangerous role!" think it would get him framed for murder . 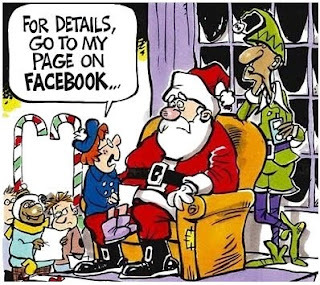 . .
- The only other McCulley story title that we could find mentioning the name of "Sneaky" is "Sneaky's Christmas Pearls," Detective Story Magazine, January 3, 1931; could this be the same character? one called Thubway Tham (HERE), to whom Sneaky Pete bears more than a passing resemblance; perhaps this was McCulley's way of "reforming" Tham. 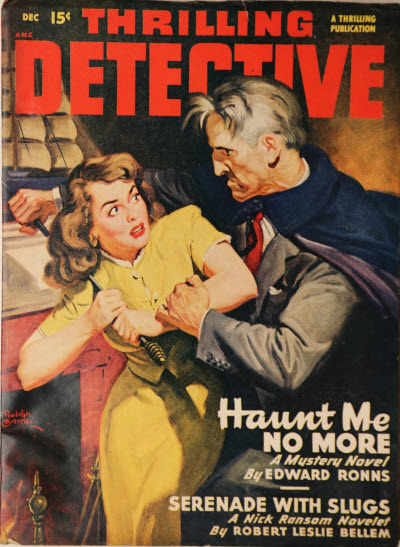 First appearance: Popular Detective, January 1948. 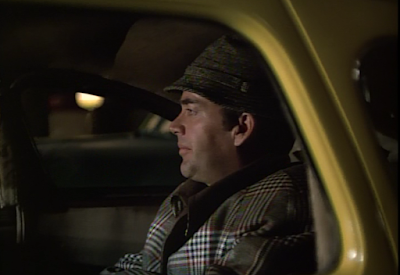 "Deputy Dan Burke battles to solve the strange case of the Yuletide deaths!" 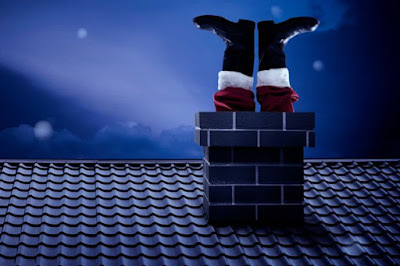 If Dan has just given the man who is to play Santa Claus a ride to a Christmas celebration at a nearby church, then how come his body is found lying sprawled on his own living room floor with a knife in his chest—murdered, the coroner confirms, hours before Dan ever caught sight of him thumbing a ride on the side of the road? "Given enough provocation, or a situation to bring on temporary insanity through rage, and anybody is the killing type." "Knowing his own guilt, worrying about being found out, a man like that, not used to crime, will generally betray himself, if you give him enough to think about." 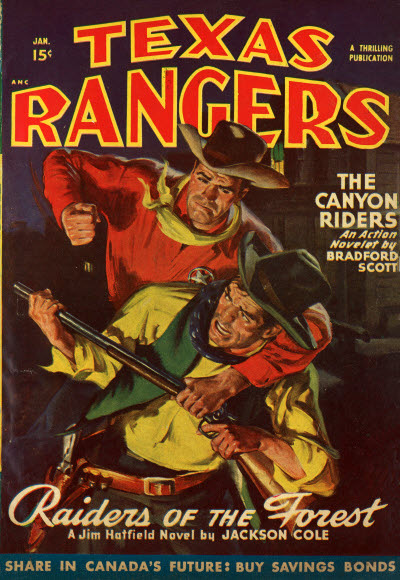 "You Could Have Played Santa Claus—a Santa Claus in Buckskin"
First appearance: Texas Rangers, January 1948. 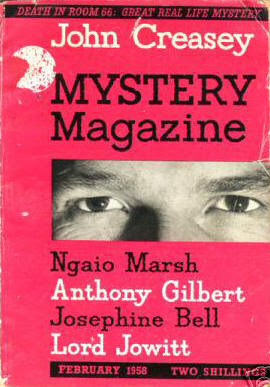 Reprinted in Exciting Western (U.K.), April 1955. 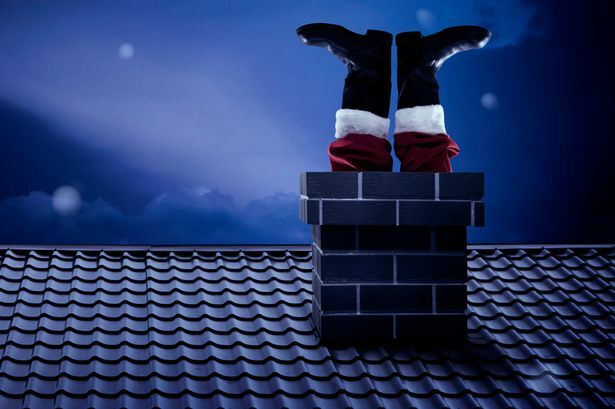 "Christmas Eve at Fort Bent seemed a long-chance bet to Scout Reilly as he read sign ahead of the wagon train!" Simply getting a wagon train safely from Point A to Point B is an iffy proposition at best; add an incompetent train boss, freezing weather, a renegade white man, and blood-thirsty Kiowa braves, and Tim Reilly has his hands full . . .
"Like I Said, Les Is Desperate, and a Murderer Ain’t Like Other People"
By Larry Holden (Lorenz Heller, c1911-?). 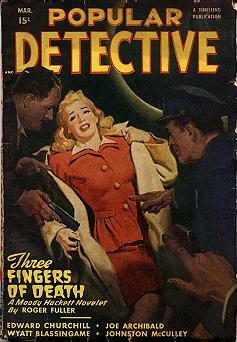 First appearance: Thrilling Detective, December 1947. 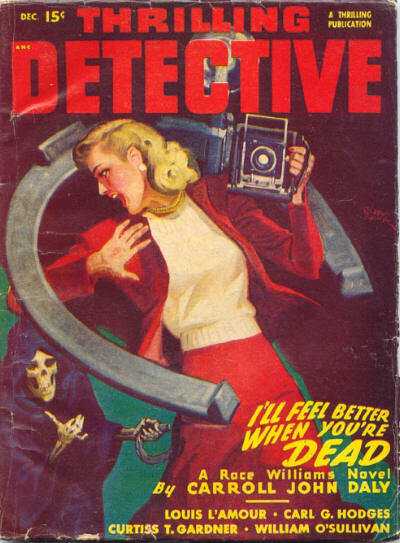 Reprinted in Thrilling Detective (U.K.), October 1948. 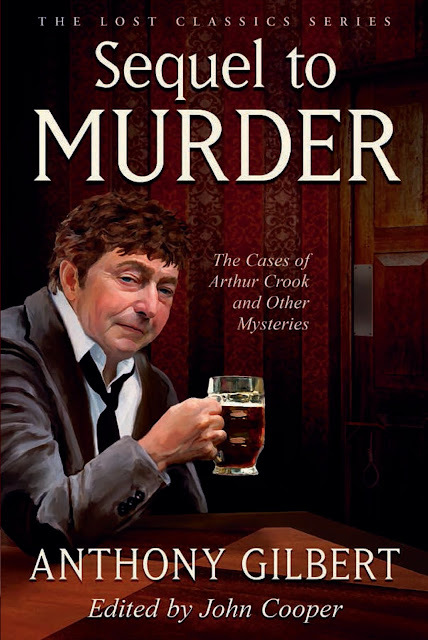 "His convict brother's escape from jail plunges stolid, law-abiding Sam Murtagh into a confusing murder mix-up!" Sam is sure Les didn't murder their father, but proving who did just might be beyond his abilities . 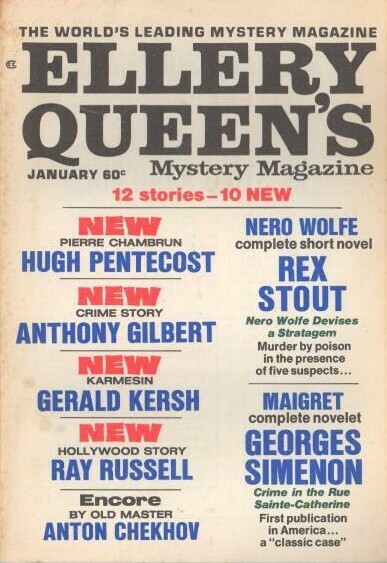 . .
- The FictionMags index shows that Larry Holden produced several dozen pulp tales in the sports or crime fiction genres from 1946 to 1959. 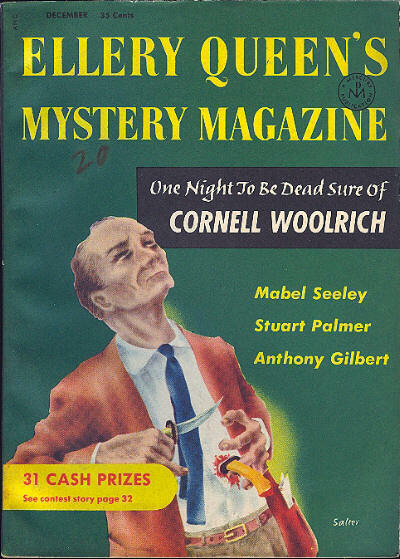 His only series character, Dinny Keogh ("fat and forty"), appeared in seven issues of Mammoth Mystery (1946-47); you can find a Keogh story, one that compresses a typical Raymond Chandler novel into ten pages ("Start with a Corpse"), at Pulpmags.org (HERE; Adobe Flash Player needed). - When he wrote for TV, Holden/Heller used the name Burt Sims (HERE); he's not to be confused with the late actor (HERE). 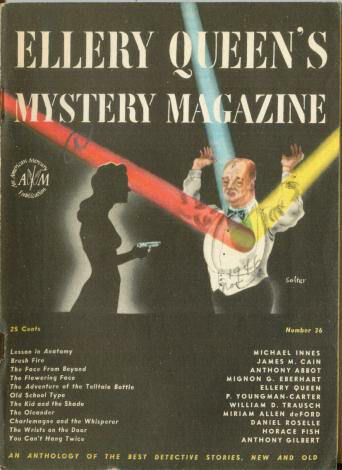 - Christmas mayhem courtesy of the incomparable Edward D. Hoch was covered on Steve Lewis's Mystery*File (HERE).